quarterfinal first leg ties, and the other half of the games taking place in the Championship’s midweek match day, the two tips of which I have looked at two teams with promotion and playoff aspirations. However it is the Champions League where the key focus will be and the first game is an interesting clash of football styles and experience as the youthful attacking flair of Ajax, who despatched holders Real Madrid in the last round, take on the pragmatic, experience of Juventus who are romping away with the Serie A title and who had a Cristiano Ronaldo hat-trick to thank for seeing them through in the last round against Atletico Madrid. The other big game of the night and arguably the biggest of all the quarterfinal clashes takes place at Old Trafford where Manchester United’s reward for their sensational comeback win against Paris St Germain in the last round, is to welcome Lionel Messi and company to Old Trafford in what should be a cracking game. Barcelona are looking certainties to win La Liga after they earned a 2-0 win over second place Atletico Madrid at the weekend, but they have looked susceptible to conceding goals on the road – they shipped four in midweek last week against Villarreal but scored twice in injury time to earn an incredible 4-4 draw. 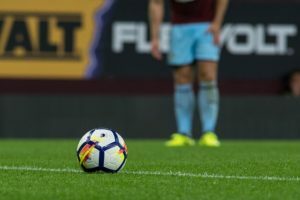 Whatever the outcome it should be a cracking night of football on Wednesday and here are my tips for each of the four games I’ve put in my accumulator for that evening. After being deducted 11 points for breaching Financial Fair Play rules, Birmingham City have dropped down to 17th in the Championship table but eased their worries about relegation with a win at the weekend. In truth Garry Monk’s side should be safe from the drop but they face a tough test at St Andrews against a Sheffield United side who are in good form at the moment. The Blades moved into second on the back of their second away win in a week, defeating Preston seven days after a crucial win over fellow promotion rivals Leeds and I think that they are looking the side most likely to go up automatically with Norwich City. As such, I am expecting the visitors to conjure up another narrow away win here. Aston Villa boss Dean Smith has worked wonders in the last few weeks, overseeing six wins in a row for the Villains as they moved up the table and into contention for the playoffs on the back of that great form. They have a superb opportunity to increase that winning run here against a Rotherham United side who are battling hard to avoid the drop. The Millers earned a fine win over Nottingham Forest last time out, but Villa, unlike Forest, are a team bang in form and I think they are showing the qualities that could make them a massive force in the playoffs if they reach them. I think this one will be another big win for Villa. Ajax stunned the football world with the way they defeated Real Madrid in the last round. In truth, they should have earned something from the first leg too, but the way they dismantled the holders in front of their own fans in the Bernebeu was a sight to behold. Juventus though are a much more dogged, determined and experienced outfit who have been in much better form and there is no way I can see the Italians allowing Ajax to impose themselves on the game. I see this game being a cagey one and it could well end goalless, which I feel would not be a bad result for either side. I can’t quite see either side doing enough to win this and as such, I think a draw is the most sensible selection. Manchester United have struggled a bit for form since their incredible win in Paris in the last round whereas Barcelona have cemented their place at the top of La Liga and are now all but Champions after their win over Atletico at the weekend. United have been better on the road under Ole Gunnar Solskjaer than at home and I think that will be a worry for United fans against an attack that boasts so many wonderful attacking talents as Barcelona. I fear for United here as Barcelona can cut teams open on the counter attack and I do feel the first goal is crucial. If United can score it, and force Barcelona to come at them, United could spring a surprise. However my gut feeling is that Barcelona will be taking a narrow lead with them into the second leg in the Nou Camp in a fortnight. Dean Wyatt is the founder and editor here at Acca Nation. He’s been betting sports for over 20 years and is a profitable sports trader on the exchanges.